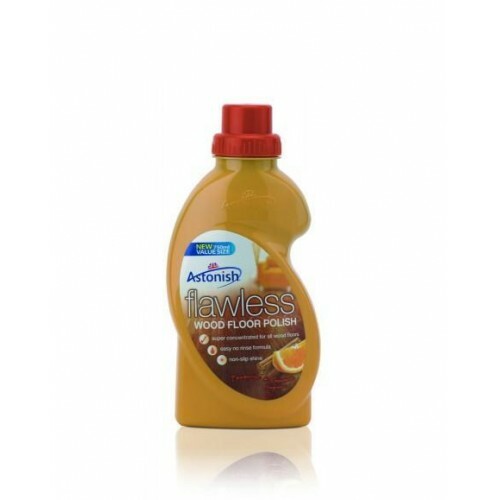 Astonish Flawless Wood Floor Polish (Tangerine & Cinnamon fragrance) is specially formulated to protect all types of sealed wood floor from everyday wear while leaving a beautiful, easy to clean gloss finish. 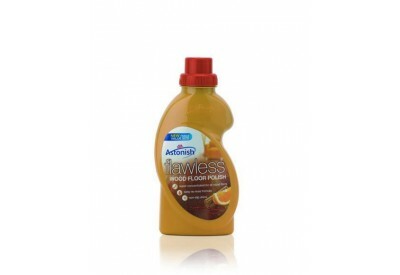 Astonish Flawless wood floor polish also has amazing results when applied to ceramic, vinyl and linoleum flooring. The polish is super concentrated for all wood floors, has an easy to rinse formula and a non-slip shine.